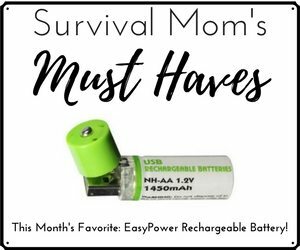 Being a Survival Mom means you have a plan to feed your kids, no matter what, whether by having some food storage, growing as much as you can, or even finding free food. 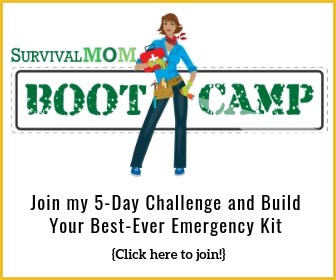 That means not just if SHTF, but also if you experience unexpected, personal events that leave you actually wondering about your next meal, as happened when this couple hit rock bottom. For example, with one of my children, maternity leave lasted twice as long as I planned. We had savings for the expected time, but found ourselves in a financially tight spot when I had to stay out of work longer than we anticipated. Life happens. 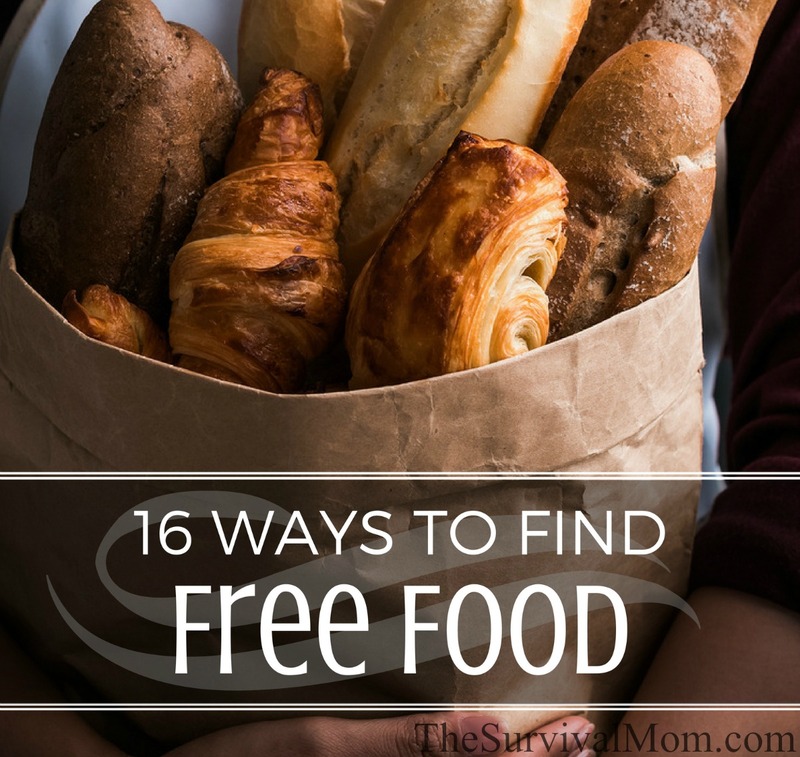 Before it happens to you and you find your bank account empty and your pantry bare, here are a few ideas on where to find free food. Whether they will work for you or not, may depend on local regulations. Pet-sit. I recently asked my neighbors to watch our backyard chickens for our vacation in exchange for any eggs. They ended up with 8 dozen eggs! If you don’t know of anyone with farm animals, check with your local 4-H or poultry groups. Side of the road. In our metro area, it’s acceptable to leave items you don’t want at your curb for others to pick up. Sometimes it’s a dresser or kids’ bikes, but frequently, people leave out extra garden produce like zucchini and tomatoes. If you see something, though, stop immediately and grab it. It probably won’t be there on your way home later. Community events. If you live at an apartment complex or you have a neighborhood association, watch for community events involving food. Often these will be pizza parties or cook-outs funded by member dues. Or see if you have a friend who might live where these sorts of events occur, and go as their guest. Serve at a catered event. Longer term, finding a job as an on-call catering server could net you more than just an hourly wage. In my experience, employees often get to take home leftover food from weddings or other events. Or volunteer to help at friends’ weddings or graduation parties. One family sent me home with enough leftover catered food to feed my family for 2 full meals after I helped with their son’s graduation party. Craigslist. Check ads for extra garden produce, or post an ad yourself saying you’ll take extras. Just be careful meeting people—I usually like to meet people at public places, like parking lots with video surveillance. Gleaning. This is the old fashioned word for “picking up leftovers after harvest.” If you live near farms or community gardens, get permission to go through after the harvest. 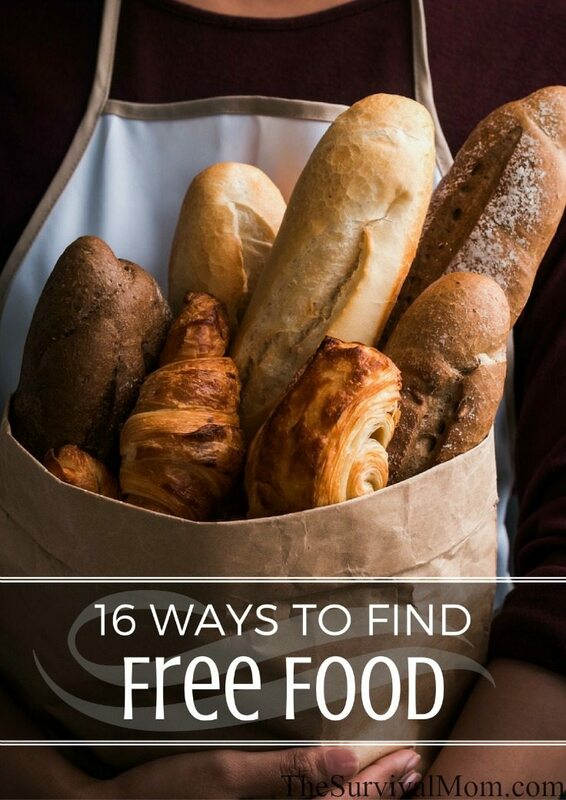 It might be some hide and seek, but with a little effort, you could probably find dropped produce, extra fruit still on the vine, or discarded imperfect veggies. Church food pantry. Many churches keep food pantries. Call around to houses of worship in your area and ask. Often there are no strings attached in regards to membership, but usually there’s a limit such as visiting once a month per household or something similar. Community garden.In our city, we have at least one community garden where you earn a share of the produce by volunteering 2 hours a week. Check in your area, or with local CSA’s to see if you can exchange time for food. Even better, you will have helped grow it yourself! Hotel breakfasts.If you are traveling, or for any other reason find yourself staying at a hotel with an included breakfast, consider taking a little extra to eat later. For example, a yogurt and an apple would make a morning snack. Just be reasonable. Grocery stores. 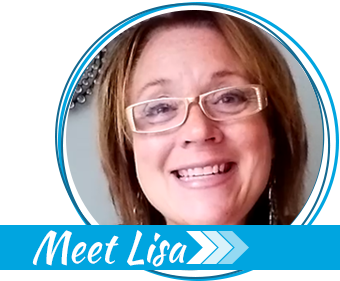 Make friends with your local produce, dairy, and meat market managers. Perishable foods can’t be sold after their expiration date. I’ve gotten half gallons of milk for free or nearly free (25 cents!) on that expiration date. Produce might be sorted in the morning, whereas meat might have to be tossed at the end of a business day. If you know what days or times to show up, you might be able to collect a whole meal’s worth! Foraging. If the idea of foraging seems daunting, then just think of this as a “snack” category. Pick raspberries along the bike trail, or the mulberries hanging over the sidewalk. Food is food, and if times are bad, every little bit–especially fresh fruits and greens–will make a difference. Always stick with plants you know–NEVER eat anything you aren’t sure about. You’ll find important foraging safety guidelines here. Freewill donation meals. Find the Pancake Breakfasts or Spaghetti Dinners in your community that ask for a freewill donation. Usually, they are fundraisers for the local fire department or Lions club. But if you’re in a tight spot, you could take advantage of these meals. Pay what you can, then when times are better, you could make a more substantial donation. Feed bread. Our local bakery outlet store will set large garbage bags of past-date bread as feed bread for farm animals. You are asked to sign a form saying it’s not for human consumption, but if times are really bad, you may find it worth going through to see if anything is still edible. Trade or barter. Offer your skills in exchange for a meal. Help a friend move and get pizza. Help your brother in law build a garage and stay for dinner. Help your co-worker fix his computer at home and let him pay for take-out. This is a win-win for everyone. 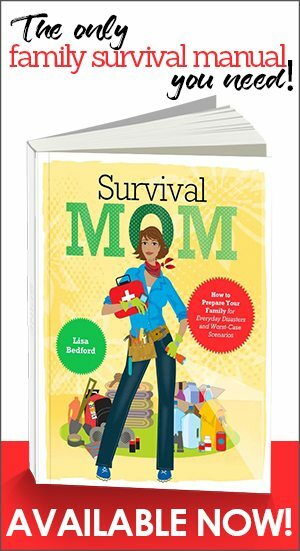 I’ve found this book about bartering to have valuable tips for getting started. Your own pantry or food storage. This is why you have food storage, right? If you need it, by all means, use it! But it will go much, much further if you can stretch it with some of the above ideas. Bountiful Baskets or another food co-op system. If you volunteer to show up early and help out, any food that is left over or unclaimed is divided among the volunteers. If you find yourself on hard times, you’ll probably need to rely on a combination of ideas and avenues to feed your family. But stay calm, think outside the box, and no one in your house needs to go to bed hungry. Foraging in your own yard – dandelion greens & purslane. Another reason not to use pesticides. Farmer’s markets at the very end of the day – ask if there is any ‘waste’ you could have for your chickens/goats or whatever. Apple cores can be used to make juice, jelly or applesauce. That watermelon or cantaloupe used for sampling will still have usable parts. “Ugly”, bruised, slightly spoiled produce can make soup, veggie stew. Learn to use the whole piece of fruit, veggie, meat, bread, etc. I even save the crumbs from the toaster clean-out tray, the crumbs from the bread bag, I rinse out all bottles, jars and cans and save like with like in the refrig or freezer to be used later. Went thru one particularly bad financial crisis and did OK because of my frugal ways. I regularly get less than perfect produce for free from our local health food market for my chickens. Sometimes there is produce that is too good for the livestock or something they can’t/won’t eat. Often just cutting out a bad spot is all that’s required. Apartment complexes, rows of townhouses: people moving out may dump packaged foods along with usable household items of all types near the curb usually in boxes or large trash bags. Usually laid on the curb. Dumpsters: I have found small items in dumpsters, some I resold like jeans, dish sets, pottery and cookware. Food is iffy unless canned, as rats and mice have been seen in them if doors stay open. Wear gloves when rummaging near the curb or in dumpsters as broken glass and other sharp items are thrown in. A three prong cultivator is safer for dumpster rummaging along with gloves. Now is the time to start a bartering group with friends you can trust. Hunt and grow it yourself…ammo is cheap and seeds are plentiful! Competition archery sets work for wildlife, too. On the same line as catering, if you get a job in a foodservice kitchen, you can sometimes get leftovers and overstock. So this takes a certain comfort level but, several grocery stores & big box stores in our area give samples of products, most spas and salons have coffee/tea/snacks, some gyms have baskets of fruit out front, our dental office gives out bottled water and snacks… Pop in to use the restroom or ask for directions and ask to grab a snack ( no one will say no)! All banks have lollipops for the kiddos…ask for info on opening a kids account, they often give the kids promo gifts too! Aside: we opened a $10 savings account for our boys at TDbank and it matched the $10 as a deposit ( so they each started with $20), then, I’m the summer, gave them a $10 deposit if they brought in a list of any 10 books they read that summer! They ended up with a combined $40 for little effort! One other thing, is the lost art of repurposing food. Most of us throw away food that has lost it’s initial purpose. My mother, who grew up in the Great Depression, never wasted a morsel of food raising five children. Rotten bananas became banana bread, bruised apples became applesauce, stale bread became breadcrumbs, stale rolls became pizza crusts, etc. Drinks that were unfinished were not dumped out, they were saved for later. Stale cookies were dunked in tea for an afternoon sweet. No new cereal, or ice cream or cheese was bought until all was used up. Leftovers made a complete weekday meal. Nothing was wasted, which made everything stretch further. We all have foods that we absolutely, cannot, will not eat (like tripe, pigs’ feet, and souse, to name a few on my list! ), but there are times when you can’t be too picky. Like Linda said above, find ways to use the food you have, and accept the fact that you might have to change your eating habits for a while. A diet of ramen and peanut butter isn’t healthy, but it’ll keep you alive until things get better. Got bunches of stuff at College dorm rooms that empty and fill at specific times of the year like Dec/Jan, May, Aug or if qtr-hrs will be different. Watch the dumpsters that are full and you might come up with good stuff. Or ask the kids that are moving. Be careful with dumpster stuff as poisons may be there like mercury from broken fluorescent lights, rot, garden poisons like insecticides or herbicides. And if you are overweight your body wll burn fat off. Grow as much as possible even just herbs. You can easily convert some of your lawn to things that gve you food or spices and even look nice so the wicked ones in gov will not bother you about what and where you are growing thngs. Best thing is not to live n an urban but a county is much less invasive. You can easily grow quite a few plants inside that will produce by putting them near windows or creating a greenhouse with special lighting to mimic the sun. I have been working the past several weeks driving a potato truck during the harvest. I would guess that at least 10-20% of the potatoes are left behind after the diggers pass and many of those are left in plain sight on top of the ground. A lot of folks come out to glean and some of them collect hundreds of pounds of top quality potatoes. Also, the farms are often short of drivers during the harvest. If you are looking to earn a couple of thousand dollars over a four to five week period (with some pretty long days) look for listings for these jobs. Since the driving is on rural roads you don’t need a CDL. I often find crabapples, and, small plums, even several varieties of edible nuts, and, wild greens at local parks. Arrow leaf grows in most ponds, although, harvesting the tubers is a wet, chilly process. You can keep a few, and, start your own water garden. The same thing works for other wild plants. I work in a restaurant and sometimes there are pick up orders at the end of the night that were forgotten. I’ve walked out with several plates before because the customer never came to get their pick up order. We have a site in our community called “Being Neighborly” and then the town name. I have often seen people post something like, “My husband lost his job, we have three little ones, could someone help us out with what ever you have until he can get unemployment?” People really do go out of their way. I myself have cleaned out my pantry and helped out several people. Some people have even posted that it’s their child’s birthday but they have no money for a gift. Does anyone have something their child doesn’t play with so they won’t do without. People really do rally to help out. I think the thing is, always be grateful, help yourself when you can, and only do it if it is a true emergency. My canned goods stockpile is mostly comprised of veggies from Feeding America Mobile Food Pantry. I’ve befriended the truck driver and because he doesn’t want to haul the produce back just to dump it anyway, I end up with tons of free veggies. It’s all donated, soon to be expired produce so it requires quick processing, but we’ll worth the effort! In exchange I always gift him with a few jars of our combined labor.